Do you sit at a computer and talk on the phone all day? Do you wedge the phone between your ear and shoulder while you write? Is your desk, chair, keyboard or monitor too high or low? Do you text, surf the internet or watch movies with a hand held device? If you’ve answered yes to any of these questions, then pay attention to this article and learn how to avoid these everyday health traps. The health traps above cause repetitive strains that can have a similar effect on your body as a car accident, only it takes longer. Where a car accident takes a split second to cause injuries and health problems, repetitive strains may take a week, a month, six months or a year. The effects on your body can even lie dormant for decades without giving you any notice of a problem. Or, they can become sudden and dramatic. Repetitive strains can cause vertebral subluxations in your spine that interfere with the function of your nerve system and affect your health on many levels. Headaches, neck pain, low back pain and herniated discs are just a few of the problems that can arise. Because your nerves control everything in your body, your organs and systems may be affected also. These symptoms and injuries can hamper your career and cost you a lot of unnecessary expense, time and suffering. Fix Up Your Workspace. Don’t wait for your company to do this for you or for a crisis to force you to do it. Back pillows, wrist rests, and headsets are not very expensive and can make a big difference. If you buy them yourself, you can take them with you if you change jobs or work from home. If you use a laptop, try standing at a counter instead of sitting at your desk. Move around your workspace instead of sitting during a call. Don’t underestimate the value these small changes can make on your body. Do them immediately. Stretch and Watch Your Posture. By stretching your neck, shoulders and back periodically during the day, you will keep tension from building up in your muscles. Have you experienced soreness after a workout? The same lactic acid buildup that causes soreness after exercise causes muscle fatigue and weakness from these health traps. When texting and working with your handheld device, straighten up and be conscious of your posture, raising the device to eye level. If straightening up is uncomfortable, then you are way overdue for a chiropractic check-up. Adjust Your Lifestyle. Avoiding everyday health traps can be as simple as adjusting your lifestyle. 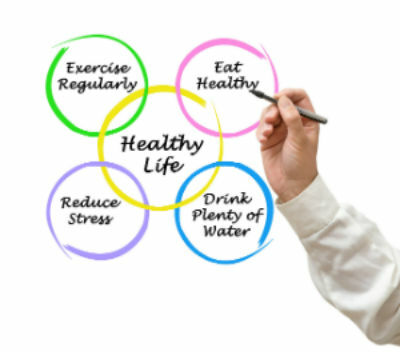 Having the awareness that you are doing things on a daily basis that may deteriorate your health and quality of life as you age will help you make changes in the moment that are good for you long term. How long have these unhealthy everyday health traps been a part of your lifestyle? How many months or years of these unhealthy habits have you accumulated? If your answer is more than 30 days, then now is the time for a chiropractic check-up. Whether you have symptoms or not, you can prevent underlying health problems from becoming permanent by taking these appropriate action steps right now.